Essex brothers Gary and Mark Poole are typical wannabe beach anglers. They want to be on the shore catching fish but they didn't know where to start...so they linked up with Sea Angler and Walton-on-the Naze tackle dealer, Richard Holgate to learn the ropes. The story of how they have progressed has unfolded each month on the pages of Sea Angler, and despite the growing pains, they learnt by sheer will, determination and practice how to present a bait on the hook and launch it into the sea. They learnt that beach fishing is no more complicated than getting the basics right. Fish the established hot spots on the best tides, use quality baits properly presented, and - vital for the Essex coast at least - cast the necessary distance. Not hard is it? The winning formula is a combination of keying into natural history and mastering a handful of core skills. The tackle side is equally straightforward. Choose the right tools for the job, and don't get bogged down in technology. This isn't a lesson is wearing an anorak - it is a practical fishing lesson. But like all schoolroom work, the theory gets boring so we let the lads flex their legs by getting off the Orford ferry, in deepest Suffolk, and walking the long path to the steep main shingle bank facing the North Sea. With a welcome sun warming the air and a blue sky bathing the famous East Anglian cod mark, the Poole boys set to their task...and filled their boots with fresh spring run codling to 4lb along with welcome whiting and writhing dogfish. Everything they learnt from instructor, Richard and published in the magazine, gelled together with the anglers regularly treading shingle as they headed for the waters edge to claim yet another fish flapping at the waters edge. The hours of patient instruction paid dividends as brothers Gary and Mark feasted on fish after fish, underlining how important it is to listen to what you are told and fish when the shoals are running the beach. 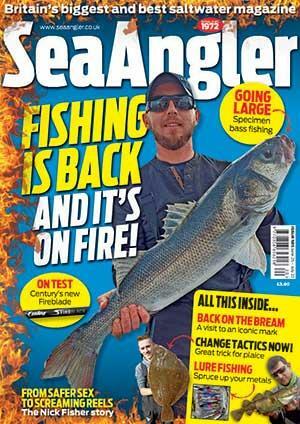 The boys will be back hunting bigger fish... read all about their exploits in Sea Angler magazine.